Faculty and professional staff should note that this Handbook contains a description of professional and academic responsibilities, when taken in conjunction with the University policies found in sections III. General Personnel Policies and Procedures, IV. Faculty Personnel Policies and Procedures, V. Professional Staff Personnel Policies and Procedures, VII. Instructional Policies, and XV. Other Policies, a description of professional and academic responsibilities. New York State law mandates a set of Standards and a Code of Ethics for its employees. Every officer and employee in State service is bound by the provisions of the State ethics laws, which establish specific standards of conduct, restrict certain business and professional activities – both while in State service and after leaving government – and require financial disclosure of policymakers and other higher level officials. Violators face serious penalties. Although the underlying principles of the laws are fairly simple – preventing conflicts of interest and encouraging ethical behavior – the law’s specific provisions can be quite technical. Please visit the New York State Joint Commission on Public Ethics (JCOPE) web page located at http://www.jcope.ny.gov/ for an outline of what is expected of State officers and employees. The federal regulations under which grant and contract funds are made available to the University require that they be administered in such a way as to preclude "conflict of interest" practices in such areas as the purchase of goods and services and employment. In the area of employment, federal auditors review for any evidence that individuals have given preferential treatment to persons related to them in appointment and/or promotion actions. Federal and state EEO and Affirmative Action policies and regulations also prohibit discriminatory practices in hiring. Binghamton University's conflict of interest policy does not preclude the employment of two or more members of the same family. However, to ensure compliance with federal policy and the New York State Public Officers Law, no employee of the University may recommend or approve any personnel action affecting a relative nor may one relative supervise another. This applies to all forms of employment on the campus, permanent or temporary, regardless of the source of funding (state, Research Foundation for the State University of New York, IFR, agency accounts, etc.). Where the search and selection process results in a situation in which a University employee must recommend or approve the appointment of a relative, the employee must defer to the next administrative level to make the initial recommendation. In forwarding the personnel action to the next administrative level, the employee should include the vita of the proposed appointee; a statement of the position's requirements and salary, and their relationship to the proposed appointee's qualifications; and a summary of the recruitment and selection process, including the names of the other candidates considered and the basis for their rejection. The review at the next administrative level shall be based on the relationship of the proposed appointee's qualifications to the requirements and salary of the position, the qualifications of other interested candidates, and any other extenuating, job-related circumstances. The review should also involve consultation with the associate vice president for human resources and with the Affirmative Action Office, and, for Research Foundation for the State University of New York appointments, the associate vice president for research administration. If the appointment is recommended by the next administrative level, the case will proceed through the normal channels. If it is not approved, the case will be returned to the employee so that another candidate may be recommended. Public Officers Law requires public notice (Contract Reporter) and a sealed competitive bid process for award of any transaction exceeding $25.00 when a state employee may be the vendor. This process should take about five weeks. State employees wishing to sell to the campus should complete Form A-1 and return it to the Purchasing Department. 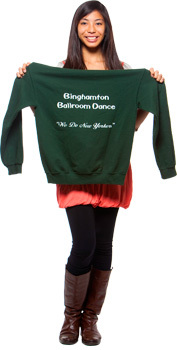 More information about the bid process is available online at https://www.binghamton.edu/purchasing/. To avoid any possible conflict of interest in which an employee, faculty member, professional staff member, or graduate student might exercise a special and undesirable influence on academic decisions directly influencing the individual's own degree program, the following regulation, approved by the Graduate Coordinating Council on May 21, 1974, is currently in effect. Only those with other than the rank of assistant professor, associate professor, or professor (or equivalent status), and those with administrative or professional staff positions below the rank of assistant dean (or its professional staff equivalent) are eligible to be enrolled in a graduate degree program of study within their own department, school, or college. However, any person may be enrolled as a graduate degree student in a Binghamton University department, school, or college other than the one in which the person is employed, provided that there is no conflict of interest or a restriction by the policies stated below. 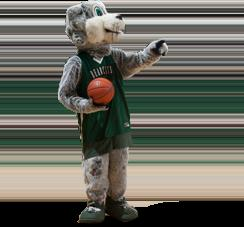 No graduate student in a degree program at Binghamton University shall hold voting faculty status (as defined by the By-Laws of the University and the individual school or college) in a department, division, school, or college within Binghamton University in which the individual is also enrolled as a graduate student. influence academic and/or financial decisions bearing directly on the department or non-departmentalized school in which the individual is enrolled as a degree program student. Where a full-time employee desires to enter a graduate program, the responsible administrative officer is informed. The student and the official should reach a common understanding concerning the relationship between job responsibilities and the required academic study. Rarely should an employee be permitted to enroll in more than eight (8) hours of graduate-level courses per semester. Exceptions to this policy may be granted only by vote of the Graduate Council (or equivalent graduate body responsible for overall supervision of graduate work) and by approval of the vice provost and dean of the Graduate School. The Graduate Council is also the agency for interpreting ambiguities and making necessary extensions in the above policy. Current and former state officers, employees and volunteers in a state-sponsored program, who are sued in their individual capacity in a civil suit in state or federal court for acts or omissions occurring, or alleged in the complaint to have occurred, within the scope of their employment are entitled to request the State provide for their defense under the terms and conditions of NYS Public Officers Law §17 ("Section 17"). To invoke the protections of Section 17, the employee must deliver a copy of any papers with which he or she has been served, as well as a request for representation, to the Attorney General's Office within five days of being served with a copy to the University Counsel's Office. The employee must also cooperate fully with the attorney general and the University Counsel's office in the defense of the matter, the defense of any related action against the State, and in the prosecution of any appeal. If the employee meets the above terms and conditions, in most cases the employee is entitled to defense by the Attorney General's Office, or in the case where the attorney general determines that a conflict of interest exists, by outside counsel paid for by the State. Where an employee is sued in connection with an accident in which he or she was driving a privately owned vehicle on state business, the employee should request defense from the vehicle's liability insurer. Even if the employee is entitled to Section 17 coverage, the State will only act as an excess-insurance carrier in such a situation. If a monetary judgment is awarded against the employee in state or federal court, or the matter is settled, in most cases, the State will indemnify the employee where the injury resulted from acts or omissions which actually occurred, as opposed to merely alleged in the complaint to have occurred, within the scope of the employee's public employment or duties. In addition, the damage must not have resulted from intentional acts on the part of the employee. Indemnification and payment of a judgment or settlement must be approved by SUNY, the attorney general and the comptroller. When sued in an individual capacity, all personnel located at state-operated campuses outside New York City and Long Island should send the summons, complaint, or other process, with the individual defendant's request for representation and defense pursuant to Section 17 to the attorney general at the State Capitol, Albany, New York 12224. Following receipt of this material, the attorney general will determine whether the Law Department will assume the defense of the litigation and will so advise the individual officer or employee. In all cases, a copy of the letter and papers should also be sent to the Office of the University Counsel. In situations where the summons or notice must be answered immediately, the Office of the University Counsel should be contacted by telephone so that arrangements may be made to have the necessary papers delivered to the nearest regional bureau of the Office of the Attorney General. Where the legal papers name the State University, the State of New York, or State University officers or employees described by their official title as the party or parties defendant, the summons or summons and complaint should be forwarded to the Office of the University Counsel in the usual manner. Where there may be some doubt as to whether the defendants are named in a corporate or personal capacity, the University counsel's office will be glad to advise by telephone. It is the policy of this University to maintain, insofar as it is reasonably within the control of the University to do so, an environment for its faculty, staff, students, and visitors that will neither adversely affect their health and safety nor subject them to avoidable risk of accidental injury. Appropriate health and safety standards promulgated by federal and state agencies are followed whenever feasible in establishing campus regulations and policy. Published standards of nationally recognized professional health and safety groups serve as guidelines in the absence of appropriate statutes and governmental regulations. The president has ultimate responsibility for the campus safety and environmental health program, and delegates to all levels of supervision the responsibility and authority for achieving the established objectives. Each department chair and unit head is responsible for the safety and health of all students, faculty, staff, and visitors in that particular area. This includes the obligation and authority to prevent or stop any operations considered to be unsafe. The department chair or unit head may delegate all or part of these responsibilities to a departmental safety coordinator. Ideally, this person will be a faculty member in an academic department or a supervisor or administrative assistant in a staff department. However, such delegation in no way relieves the department chair or unit head of responsibility in matters of departmental safety and health. It is incumbent upon individuals to provide the constant vigilance necessary to avoid unsafe acts. Each person has an obligation to take all reasonable precautions to prevent personal injury and injuries to fellow employees or students. Employees are expected to learn and to follow the approved standards and procedures applying to any activities, and to consult with the appropriate individual when there are any doubts concerning potential hazards. The director of environmental health and safety (607-777-2211) provides guidance to campus personnel to attain the goals and objectives of the campus safety and environmental health program. (See also Management Procedure 807, http://www.binghamton.edu/operations/policies/security-and-safety/environmental-health-and-safety-policy.html). The Hazard Communication Standard (part 29CFR1910.1200 of the Occupational Safety and Health Act [OSHA]) is a performance standard that requires the University to: 1) obtain Safety Data Sheets (SDS) for all chemicals purchased; 2) determine what chemicals in the workplace present a real or potential hazard for exposure for employees; 3) make SDSs readily available to employees at all times; 4) provide to employees all information specified by the Standard; 5) ensure that all chemical containers are properly labeled; 6) train all employees in accordance with the requirements of the Standard; and 7) develop a written Hazard Communication Program. A copy of the program is available for employees to review in the Office of Environmental Health and Safety. (See also Management Procedure 815, http://www.binghamton.edu/operations/policies/security-and-safety/hazard-communication-standard.html). It is the policy of the University that all containers of chemical products be properly labeled in compliance with the Hazard Communication Standard. Such labels must contain the identity of the chemical in the container, along with an appropriate warning such as "flammable," "poison," "oxidizer," and the like. Existing labels, if appropriate for the chemical contents, must not be removed or defaced. Dial 911 or (607) 777-2222 to report an emergency. You may also pick up any Blue Light Phone on campus to reach an emergency services dispatcher. A building evacuation goes into effect in case of a fire or other emergency that requires all occupants to immediately leave the building to ensure their safety. Familiarize yourself with emergency stairwells, exit routes and the assembly area for your primary location, as well as for all buildings that you frequent. A building evacuation will be signaled by the building fire alarm, including strobe lights and audible alerts. When you receive the notification, leave the building and proceed to the assembly area in the building's evacuation plan. Do not use elevators during an evacuation. University officials will provide information at each assembly area. You may only re-enter the building when authorized by University officials or emergency responders. Proceed to the nearest stairwell and wait there to be evacuated by a member of the fire department. If possible, ask another person to accompany you to the stairwell. Ask him/her to immediately notify emergency responders of your exact location once he/she has evacuated. If help does not arrive within 5-10 minutes, call the Dispatch Center again. Remain with the individual until emergency personnel arrive. Ask a bystander to remain in the lobby or building entrance to direct emergency responders. When EMS personnel arrive, be sure to provide a description of the treatment you have provided to the individual. In all cases of fire, call the Binghamton University Emergency Dispatch Center at 911 or at (607) 777-2222. If you discover a fire, activate the nearest pull station to engage the building's fire alarm system. Immediately exit the building, closing the doors behind you. DO NOT use elevators during an evacuation. Shelter-in-place goes into effect during emergency situations where it is important to minimize exposure to outdoor hazards. These situations may include extreme weather or dangerous air quality due to the release of hazardous materials. If a shelter-in-place order is given, enter the nearest building and move to an interior room away from exterior windows. Once it is safe to resume normal activities, an "All Clear" message will be sent via the B-ALERT system. If you believe someone is experiencing a mental health emergency, call 911 of (607) 777-2222. Never try to handle a situation that is potentially dangerous to you or others. Additional information can be found at http://www.binghamton.edu/emergency/ and at http://www.binghamton.edu/ehs/. As part of Binghamton University's emergency notification system, the University utilizes an outdoor warning siren on the Vestal campus. This public-address speaker/siren is designed to warn people who are outdoors only. It is not intended to be heard by people inside buildings on campus. In the event of an emergency that urgently threatens the safety of people outdoors, the University may sound the siren. The alert tones are very loud and distinct and should be easily heard by anyone who is outdoors on the Vestal campus. The alert tone may or may not be followed by voice instructions. Whether you can understand the voice instructions or not, the default action anytime the siren is sounded is to take shelter in the nearest building and seek further information. The siren may or may not be sounded for law enforcement actions, such as the response to an active shooter. Use of the siren in these situations will be determined by law enforcement officials.